1924: The Leifgren family founded company and began producing old-fashioned kettle boil tallow soap: located in Minneapolis MN. The operation was situated at 110 Fifth Street SE in Minneapolis . It was a time when most small mid-west towns had a community dairy or two. 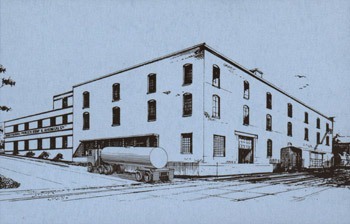 National Purity began to manufacture soaps and detergents for the dairy and creamery business. Farmers purchased National Purity products for cleaning milking equipment, pails and containers, the milking parlor and barn floors and walls, and the cows themselves. Dairies and creameries throughout the region used National Purity products to clean milk trucks and bottles, milk processing equipment and interior surfaces. 1960 to 1970: The Company expanded its capabilities and began producing home and industrial laundry products, car washes and waxes. 1968: The Spillane Family purchases National Purity. Jack Spillane previously worked for Procter & Gamble and brought a wealth of industry knowledge to the operation. National Purity became a high-rated national co-packer. 1992: The original facility was outdated and inefficient. National Purity moves to new offices and manufacturing facilities located at 434 Lakeside Avenue , just west of downtown Minneapolis . The new facility was needed to accommodate new business expansion. Its one story layout contributed to production efficiency, and the larger space allowed for a new raw material tank farm. A modern research laboratory was installed to meet the ever increasing need for product testing and development. 1995: National Purity acquires Kleen King Inc., Britt , Iowa from Fountain Industries. Fountain, a manufacturer of pressure washing equipment wants to focus on its core manufacturing operations. National Purity begins producing pressure washer solutions and servicing new clientele. 1998: National Purity acquires Private Label Chemical Company. The acquisition helps National Purity to expand further into specialty chemicals and the industrial markets. The acquisition also enhances National Purity’s label printing capabilities, allowing for color printing directly on the bottles and screen printing custom designs. 2002: Sean Spillane purchases National Purity. The Company name changes from National Purity, Inc. to National Purity LLC. 2006: Consolidated all manufacturing to Iowa facility and re-located offices and additional warehouse to Brooklyn Center, (Minneapolis) Minnesota. 2008: Spillane family continues ownership. Operations focuses on contract packaging, envisioning future growth with new partners.